January 25, 2019 (Indianapolis, IN) — THE GATHERING, the much anticipated second album from prolific worship artist Casey J is available in stores and online everywhere today. The 2016 Stellar Gospel Awards New Artist of the Year, draws from a mix of music styles and influences to offer a unique worship experience. Tyscot Records is the oldest operating African-American gospel music recording label in the world. The company was founded in 1976 by dentist Dr. Leonard Scott and his late nephew, Craig Tyson, a musician. The Indianapolis-based concern has introduced the world to some of gospel music’s biggest acts ranging from John P. Kee, Vashawn Mitchell and Deitrick Haddon in the early days to new stars such as Anthony Brown & Group therAPy, Casey J, Kelontae Gavin and Bri (BrianaBabineaux). Some of the classic songs in the company’s catalogue include John P. Kee’s “Jesus is Real,” Casey J’s “I’m Yours” and Anthony Brown & group therAPy’s “Worth.” For more information, visit https://www.tyscot.com. Integrity Music is part of the David C Cook family, a nonprofit global resource provider serving the Church with life-transforming materials. With offices in Nashville, Tennessee (US) and Eastbourne, East Sussex (UK), Integrity is committed to taking songs of substance to the local church and its leaders around the world. Integrity publishes many of the top songs in the Church, including “Great Are You Lord,” “Revelation Song,” “Open The Eyes Of My Heart,” “In Christ Alone,” “10,000 Reasons,” “Here I Am To Worship,” “The Lion And The Lamb,” “Great I Am,” and “We Believe,” among others. Additional information is available at www.integritymusic.com. 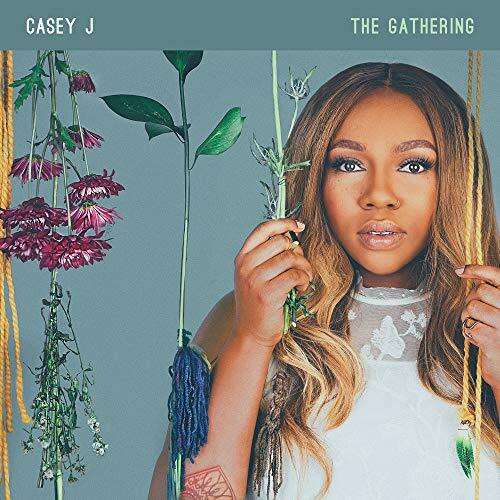 The post CASEY J OFFERS SOPHOMORE ALBUM ‘THE GATHERING’ | @CaseyJMusic appeared first on BlackGospel.com.